The trusted software platform of the SCU consists of security components that are trustworthy-by-design. Firstly, the microkernel proprietary operating system (KasperskyOS) is based on well-established principles of security-driven development and specifically designed for embedded systems with strict cybersecurity requirements. KasperskyOS removes the chance of undocumented functionality, and thus mitigates the risk of cyberattacks: even if an unauthorized code is embedded, it will not be executed because, by default, this undocumented functionality is prohibited. Other components include a security policy engine (Kaspersky Security System), defining the particular scope and character of interaction between various components and a trusted channel framework with a set of crypto algorithms, as well as low level protection services based on hardware capabilities. 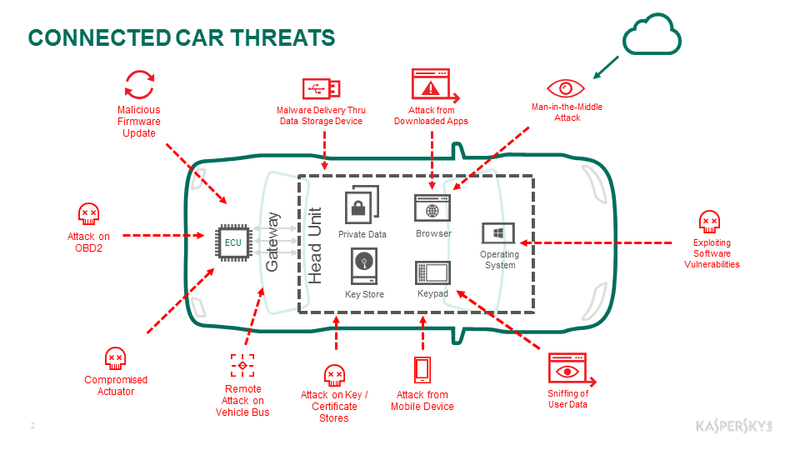 “With the modern automobile ecosystem becoming more and more complex and interconnected, it is not surprising that cybersecurity concerns arise among consumers and the automotive industry itself. While the opportunities and benefits are apparent, there is still a need to make automotive systems secure. 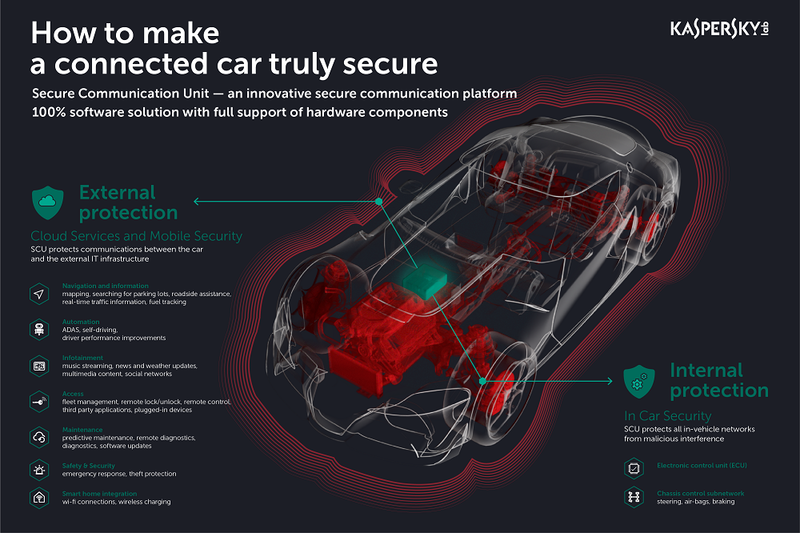 That’s why we’re making a big step forward with our prototype for secure car communications to ensure that connectivity opportunities don’t turn into failures,” comments Andrey Doukhvalov, Head of Future Technologies and Chief Security Architect at Kaspersky Lab. The platform provides the solution framework for specific customized applications, allowing car manufacturers to develop and implement unique SCUs into their cars, based on particular hardware and additional software components in alignment with their manufacturing plans. The SCU is available for OEMs, ODMs, system integrators and software developers around the world.